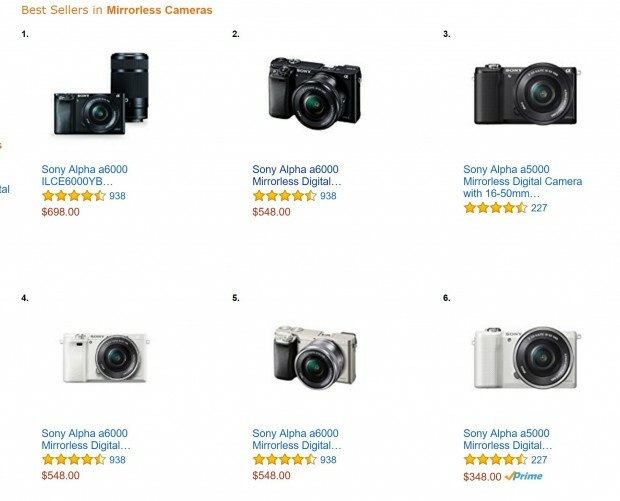 This year best deal for mirrorless cameras should be the Sony Alpha a6000 mirrorless camera. The Sony Alpha a6000 has released for almost 3 years now, it is still the hottest camera at this Black Friday & Cyber Monday season. With the recently up to $350 price drop, now it is the best seller at Amazon US, B&H Photo Video, and Adorama. a6000 sits in the same place in Sony’s mirrorless lineup and offers a broadly similar feature set, but adds a number of significant new features (while also losing the NEX moniker of its predecessor). The resolution and processor have been bumped up, the most notable feature on the a6000 is its updated Hybrid AF system.